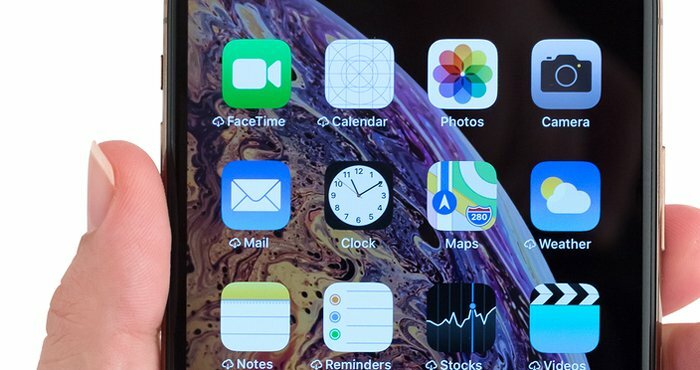 A newly discovered FaceTime bug means people could have been using your Apple devices to listen to you without your knowledge. Using FaceTime's group calling feature, someone could call you and start listening to you before you actually clicked to answer the call. Worse, in some cases, they could watch you, too, just like you'd accepted the call. Apple has released a stopgap fix, but this kind of FaceTime eavesdropping was worryingly easy to do. It didn't require any complicated hacks or even any technical skills. To listen in on someone, all you had to do was place a call to a contact, and once the call started dialing, click "Add Person" to create a group call and add yourself. Even if your contact didn't answer the call, this would immediately start a conference call that streamed audio. To the recipient it simply looked you were trying to call them — their phone could still be ringing, but you were already listening. Worse, if the recipient pressed the power or volume buttons on their iPhone to answer or ignore the call, it would start streaming video as well as audio — and it still wouldn't show that there was a FaceTime call in progress. Though the issue was only discovered this week, it's a bug with the FaceTime group calling feature that was added in iOS 12.1 and MacOS 10.14.1 back in October. We don't know if it was widely exploited, but if you've missed any FaceTime calls in the past few months it's possible they could have made use of this bug to listen in on you. You don't need to panic that someone may be listening to you right now, however. Apple has disabled Group FaceTime entirely, which means no one can make conference calls — and no one can eavesdrop on you, either. It's a temporary answer while Apple works on a patch to fix the bug itself, which the company promises will be out later this week. Apple disabling the Group FaceTime servers should protect you from this problem, but to be extra secure, you should disable FaceTime on your devices. It's easy to turn it on and off, so unless you regularly place FaceTime calls there's no reason not to switch it off until the bug is fixed. You'll have to repeat these steps on any iPhones, iPads, and Macs in your household, and do it again after your devices are patched. Or, if you don't regularly use FaceTime, you can just leave it off. Watch for a patch to go live later this week fixing the bug. Whenever you get a notification on your device that there's an update available, we highly recommend installing it.